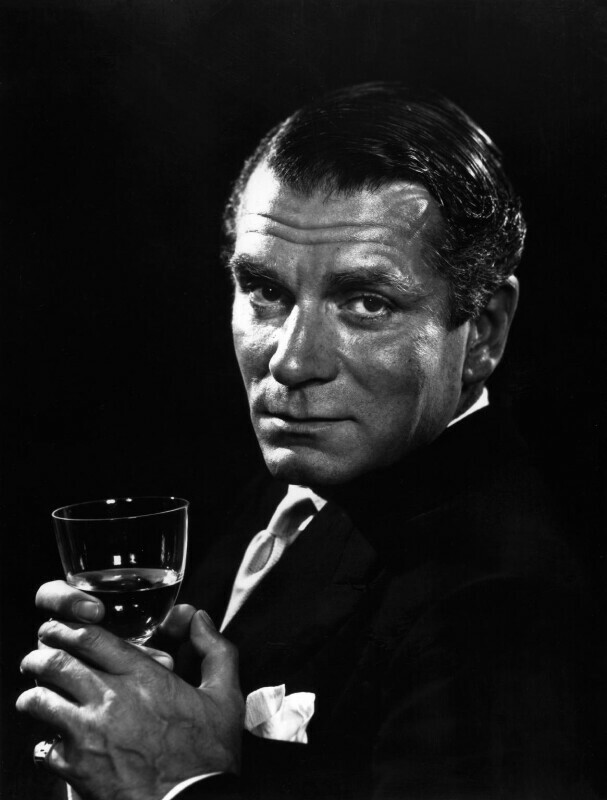 Laurence Kerr Olivier, Baron Olivier (1907-1989), Actor, producer and director. Sitter in 111 portraits. Olivier had spent the day acting and directing his film version of Richard III when Karsh took this photograph.